Magnetic resonance imaging (MRI) volumetric analysis is a relatively new assessment tool in clinical trials for Alzheimer's disease (AD). It is a technique that is particularly well suited for clinical trials designed to prevent AD or slow its progression. The Alzheimer's Disease Cooperative Study, a multicenter consortium that performs AD-related clinical trials, is presently conducting a clinical trial with vitamin E and donepezil (Aricept®) in participants with mild cognitive impairment (MCI). The objective of the trial is to determine if either agent is capable of delaying a diagnosis of AD. Mild cognitive impairment participants are randomized to treatment with vitamin E, donepezil, or placebo, and followed longitudinally for 3 years. 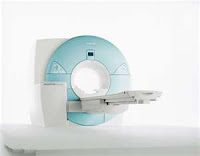 A subset of randomized participants is undergoing MRI of the brain prior to beginning treatment and during the course of the trial. The objectives of the MRI component of this trial are to determine (a) whether MRI volumes predict cognitive and functional performance in a well-defined cohort of participants with MCI; (b) whether hippocampal volume or other baseline volumetric measurements predict subsequent crossover to clinical AD; and (c) whether treatment with either vitamin E or donepezil alters the rate of brain atrophy over the course of treatment. Although the trial is still recruiting participants, analysis of the MRI scans collected thus far indicate that hippocampal volumes measured at the time of study entry predict baseline cognitive and functional performance. These results support the hypothesis that brain volumetric analysis may also be useful to predict future prognosis and for monitoring the effects of treatment on disease progression.